The Central Coast of California is famous for its wine country, wine tasting tours and fabulous vineyards. Many people enjoy tasting wine but some people, like me, have no idea how to appropriately participate in the event. We have invited another great author Jason Conners an expert in the field of wine tasting to educate us on the fine art of wine tasting. 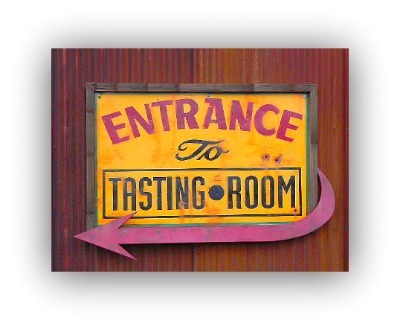 We know you will benefit from reading this article involving wine tasting tips. You can tell a lot about a wine just by looking at its color. When you attend a wine tasting, the glasses should always be clear so you can get a good look at the wine. The tables may also be covered with white tablecloths to help you see the wine's color clearly. Do not let the wine name full you. For example, white wines are not white in color. They may range from yellow to green to brown. Red wines range in color from pale red to a deep brownish red and often become lighter with age. Sometimes the color of a wine may indicate age or flavor. You may be able to tell the age of a red wine by doing a rim test. Tilt the glass slightly towards the rim of the wine glass and look at the wine. If the color of the red wine is more of a purple, it is usually a younger wine. If the color of the red wine is brown, it is an older wine. Jason Connors is a wine lover providing valuable wine tasting tips and advice on wine cellar design, wine making, and wine basics. Read his recent report on "What To Look For in a Wine Cooling System". We hope you enjoyed the article. The last wine tasting tips is remember to drink responsibly and do not drink and drive. The Central Coast of California has many tours which will provide transportation to wine tasting events. Kayak - In addition to travels deal with Expedia we also provide you with options for booking with Kayak - Compare hundreds of travel sites at once to find the deal that's right for you.